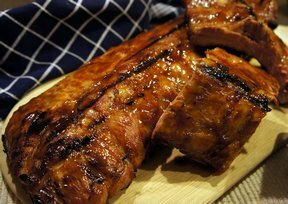 The meat falls off the bones and has that perfect sweet and spicy combination. Quick sandwich that is inexpensive. Great when you have leftover buns that need to be used. Kid friendly, too. Make this casserole your Tuesday dinner treat, while watching the singing competition unfolding in American Idol. 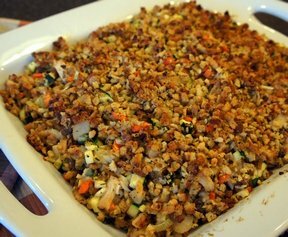 Chicken and stuffing surrounded by vegetable confetti in a creamy sauce with a crunchy topping. 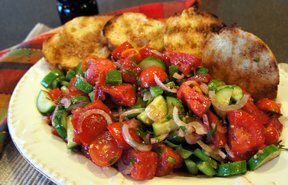 An Heirloom tomato salad with grilled bread, basil, bell peppers, red onion, capers tossed in vinaigrette. A great way to use up your garden vegetables and serve a fresh taste for any patio party. 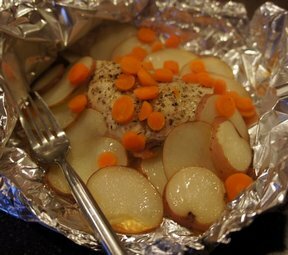 Individual packets that includes chicken, potatoes and any vegetables you like. Perfect for your pickier eaters. These are great in the summer when you use the grill and don't heat up the house. Make the fruit kabobs with your family's favorite fruit. Kids love eating anything off from a stick. Keep flour tortillas on hand so you can prepare quesadillas anytime. 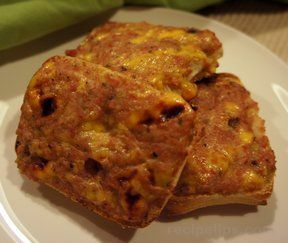 Fill with your favorite vegetables and shredded cheese and you will have an appetizer or light meal. Along with the guacamole, serve sour cream and salsa to go with the quesadillas.